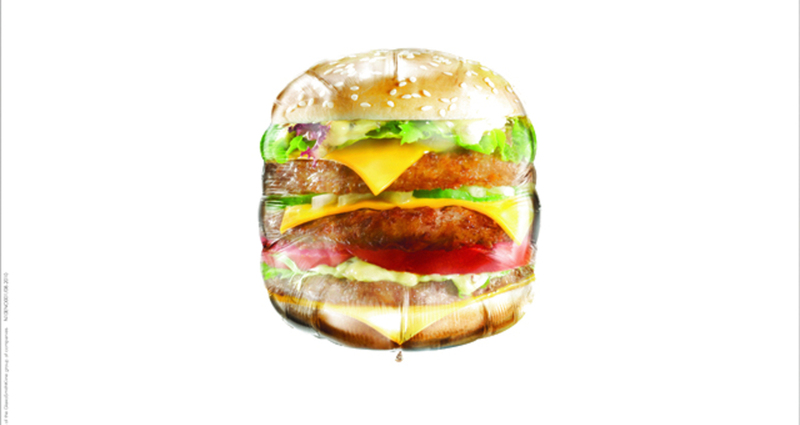 Food Balloon - Burger / GlaxoSmithKline Ltd. If delicious meals were light, we wouldn’t have to worry about overworking our stomachs. So, we demonstrated the efficacy of ENO by demonstrating that it made delicious meals as light as balloons. To arouse consumers’ interest in the efficacy of ENO in helping to digest heavy meals. Some foods are considered “HEAVY.” So we selected three ‘heavy’ foods to illustrate the efficacy of ENO. The challenge was when we turned all those food items into helium balloons, the food was easily distorted and hardly recognizeable. We tried many rounds of photo retouching to get the ideal result.